I’d like to start off by saying Ramadan Kareeeem 😀 I am grateful that we have been given the chance to experience Ramadan once again, and I hope that we make the most of this blessed month! Due to a certain thing called EXAMS (which are not over yet btw), I feel like I’ve been living in a hole. I may have missed the fact that people have been raving about a new dessert, which has been labelled “London’s best dessert of 2015”. What?! A new dessert that’s so good, that I haven’t tried yet? What?! As soon as I heard this, I persuaded Z that I needed a revision break, and off we went to Shackfuyu to get our hands on some Kinako French toast topped with green tea ice cream. Shackfuyu is a little Japanese pop up restaurant that will be open until February 2016. Unfortunately, Shackfuyu is not halal, so we set out to Soho just for this so-called amazing dessert (which as we clarified, does not contain alcohol). The dessert definitely was a “matcha” made in heaven 😉 This is not an ordinary dip your bread in some egg mediocre French toast. This was a sweet, buttery, perfectly squidgy, crispy edged, thick slice of goodness. 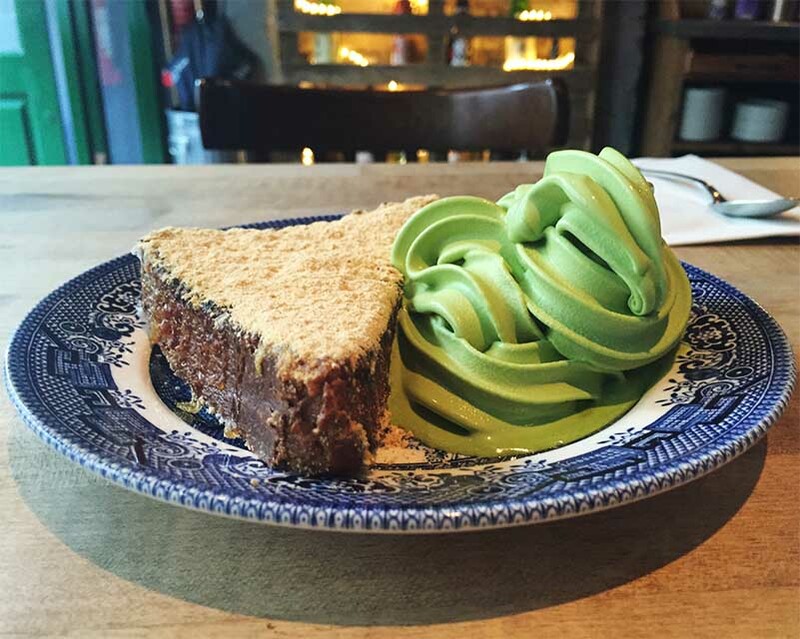 Served with a swirl of green tea ice cream, it made for a lovely dessert. I feel, however, that it is overhyped on social media and I definitely wouldn’t call it the best dessert of 2015. Perhaps I expected too much and although I enjoyed it, I probably wouldn’t go all the way to Shackfuyu just for this dessert again.